One of France's largest airports was closed for several hours on Monday whilst police attempted to remove a road vehicle from it's runway. A road user was able to break through a set of glass doors inside Lyon Airport's Terminal 1 and drove across the airport runway. His intentions are currently unknown. More than a dozen police cars and helicopters pursued the man and lead him onto a nearby motorway. The offender then attempted to escape on the wrong side of the motorway before abandoning his car and continuing on foot. Police then caught up with the man and wrestled him to the ground. He is now in police custody. A spokesperson said that the man was "pursued by police, he smashed through Terminal 1 before reaching the runway area," and that nothing was being ruled out. 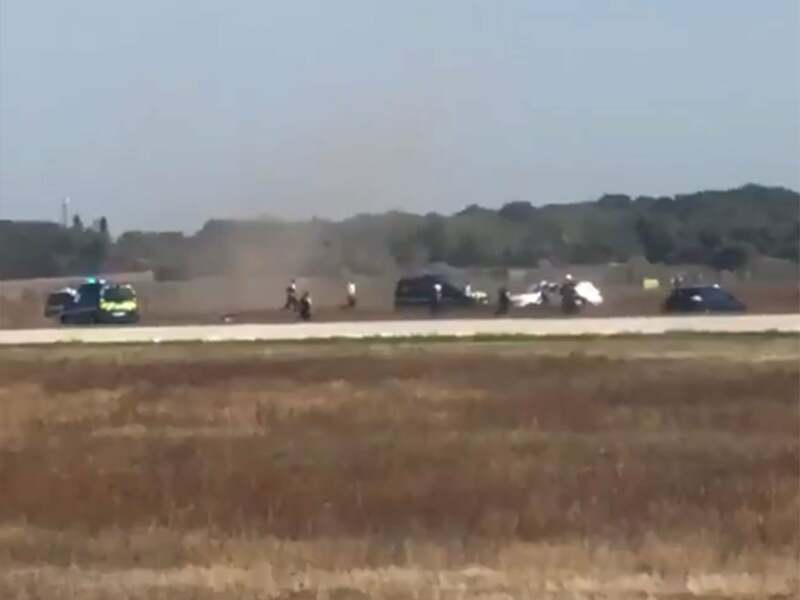 Video footage shared on social media shows the vehicle driving down the runway at speed, and hitting a bump and going airborne before landing in a cloud of dust. 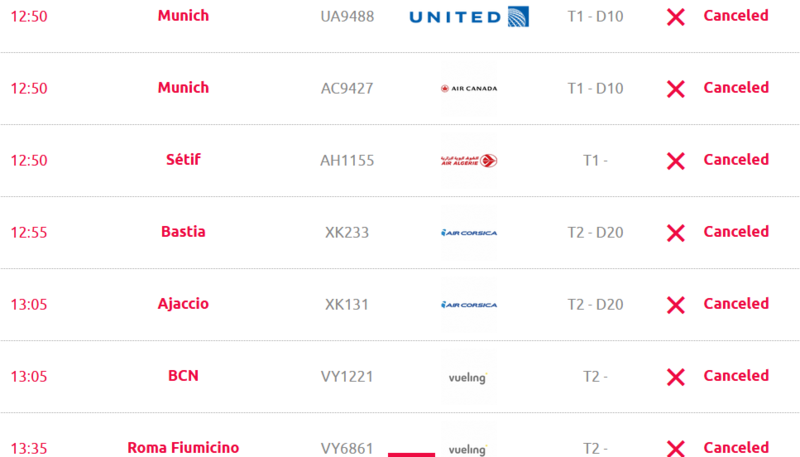 Several flights were cancelled after the incident, with others suffering from long delays. 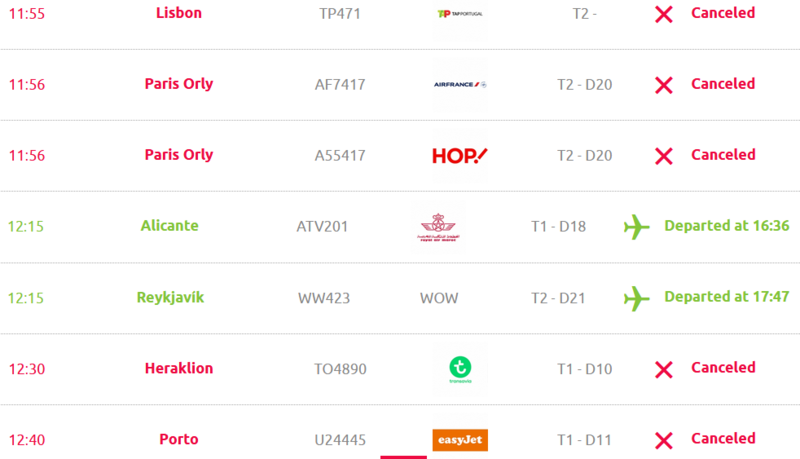 Cancelled/delayed flights after the incident.